We are asked more and more frequently whether or not there are any specific safeguarding requirements on your school website. There is a requirement to publish information around safeguarding, even though this isn't currently listed on the standard checklist you may read. Of course the place you will inevitably publish information on safeguarding is on your website. Below you'll find a range of resources and information, including your safeguarding in schools checklist. This article explains how you can effectively publish appropriate safeguarding requirements on your school website. A fundamental aspect of life in school is rightly safeguarding. Children should feel safe and secure and schools have a responsibility to cultivate a strong safeguarding culture. That basic right has become a primary concern of inspections. Schools will be judged inadequate or will require improvement if safeguarding is found to be ineffective and schools are also expected to ensure all staff are trained and to be vigilant. It's serious stuff, and rightly so. Here are the things you should be doing already. The argument for publishing them on your website, regardless of the statutory requirements is strong. So, get on with it! From September 2018, schools are required to publish information on their websites around safeguarding. The details are listed below and can be found in our School Website Requirements Checker and Guide. Safeguarding is one of, if not the first thing an inspector will look at when they visit your school. In fact they'll be looking to get a handle on whether safeguarding is effectively managed before they visit school. Your website is the place that inspectors will naturally look first to access key information. How does this look on inspection day? The lead inspector will prepare for the inspection by gaining an overview of the school’s recent performance and any changes since the last inspection. They're going to use all available evidence to establish an initial picture of the school’s performance. The information you have made available on your school website will inform the planning of the inspection. That means that inspectors are actively looking for safeguarding information. They're looking to confirm the presence and suitability of your safeguarding guidance. It's absolutely worth getting it right and getting it online! One of the most important things to remember is that inspectors will be looking for how quickly you are able to access information they ask for. You should of course have everything ready! But, should they catch you off guard, being able to access the right information quickly and confidently is critical. If you're not able to locate the information an inspector needs it quickly becomes a leadership and management issue. Know where your safeguarding information is. Whether or not you're publishing safeguarding information on your website (can I just say it again ... you should be! ), make sure you know where the relevant information is. Firstly, there are requirements for schools to publish information that detail specific information. Set out definitions of abuse, recognising signs of abuse and your approach to handling any concerns. Make sure everything you need to include is covered online. Secondly, there are requirements to make sure that you have a procedure in place to keep your policies up to date. You must also ensure your staff are effectively training in safeguarding and be able to demonstrate that you keep on top of this. If you read the documents linked below, you'll see the words, "everyone", "all", "any" repeated over and over again. The key point? Safeguarding is everybody's responsibility. There are no excuses if you haven't ensured everyone from staff to governors aren't fully aware of their responsibilities. It's also not good enough to just make sure you've got this covered. You've got to prove it; record it, publish it and have it readily available when an inspector arrives at your door. While demonstrating how many students are able to swim 25 metres might feel like a box-checking exercise, safeguarding should never be so. The other word that is critical - robust. Because of the nature of the issue the only acceptable approach can be one without compromise. Clearly named sections containing policies, Prevent info, e-safety and guidance for parents. They've broadened the safeguarding remit slightly here but this is a fantastic approach! Below you'll find a range of resources that should inform how you approach safeguarding in school. Safeguarding in Schools - resources from Andrew Hall, author of the Safeguarding Handbook for Schools. The critical thing to remember is just how important safeguarding is within schools. Keep safeguarding among your highest priorities. 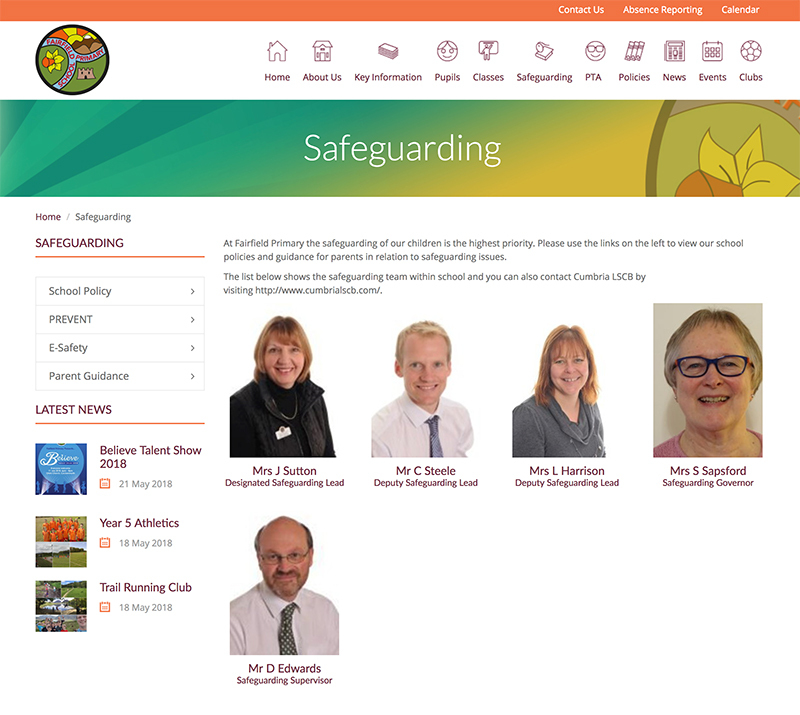 Your school website should demonstrate how seriously you take safeguarding. It should make it clear who is responsible and provide a safe route to raise any concerns. It should also be reassuring to parents that you place the care of children right at the very top of the agenda. 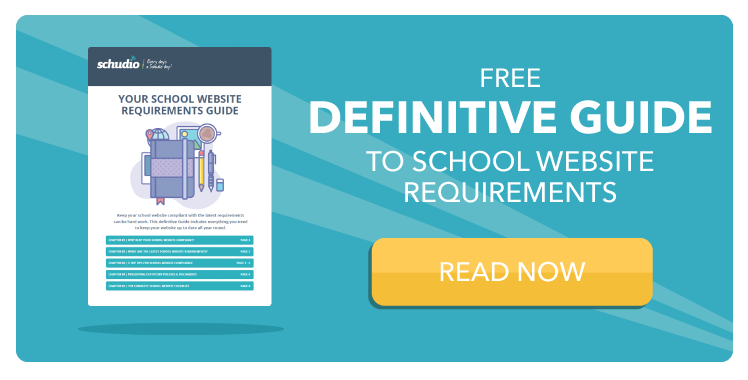 For a complete picture of the statutory requirements for your school website visit our ultimate guide to school website requirements. Built hundreds of website and helped countless schools realise their potential online. Ian should be called upon for straight-talking advice and to make a difference to the way you present your school through every outlet. Simply add your email and you’ll get expert advice weekly, direct to your inbox. 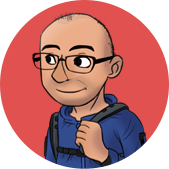 Ian Richardson and his team at Schudio created such a user friendly website for our school. The uptake amongst parents accessing information on our website has increased and the training the Schudio team gave the admistration staff has been excellent. Regular updates from Schudio and ease of contact has certainly helped keep our website up to date, compliant and a joy to access! Schudio offered excellent value for money to redesign the school website & very good training and support. We’d been with our previous hosting provider for nearly four years and although the website had served us well, web design and hosting had moved on substantially in that time. The old website needed a substantial change and we looked to Schudio as a partner to help with that process.We found Schudio’s approach to school website services very refreshing; it was to not just provide a design and web hosting service. It was to work with us in a school-focused manner that made them stand out against their competitors. Everyone is incredibly flexible and helpful, which made the whole transition process much easier. Communications were always dealt with promptly as the team project-managed the work on Schudio’s side well. The project was well managed and everyone knew what was expected of each other. The school logo and branding was updated by working with their really helpful designer.Feedback about the new look has been really positive and we are making it easier for visitors to find the information they are looking for.Schudio stands out for me because they offer a incredibly useful OFSTED checking service and provided design advice to make our website work in the way we wanted. They also keep us informed with changes in the OFSTED regulations and continue to work with us to develop our website. I recently attended the Ofsted School Website Requirements training course run by Schudio. It was most informative and helpful, with practical suggestions on how to make website administration manageable. All the Schudio trainers were approachable and extremely helpful. I am hoping to attend more Schudio courses in the near future. We’ve worked with Schudio for over three years now. They have seen us through the launch of a new website and, most recently, a rebrand. The team are professional and knowledgeable and nothing is too much trouble. Everything they do is school centred and their experience of the education sector is invaluable. They are continually looking at ways to improve the user experience and new features are added to the CMS regularly enabling us to continue to provide our students and parents (both current and prospective) with the best possible website experience. They also offer additional services, such as the website Ofsted Checker, going above and beyond what a website company has to offer its clients. I couldn't recommend Schudio highly enough! The whole process of changing provider and updating our website was made simple and easy.